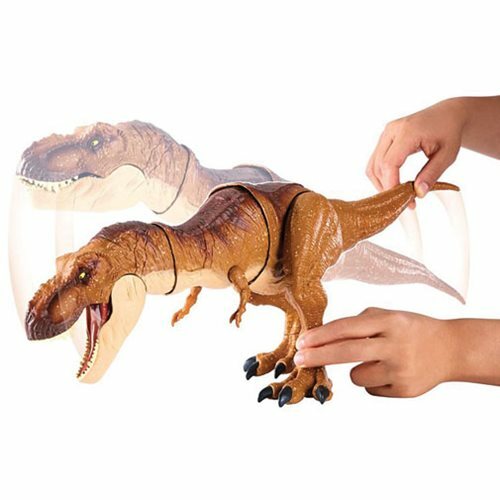 Tear into your other dinosaurs! 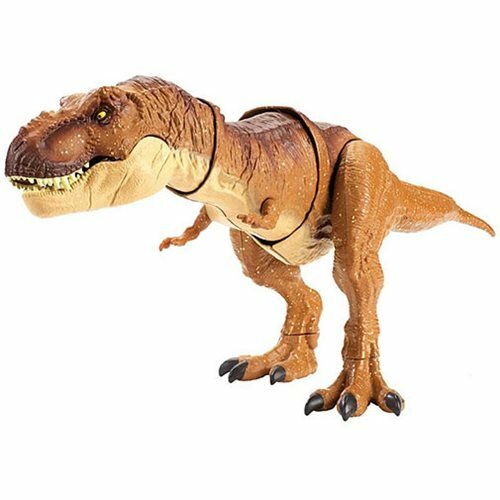 The Jurassic World: Fallen Kingdom Thrash 'n Throw T. rex Figure is based on the 2018 Jurassic World: Fallen Kingdom movie. 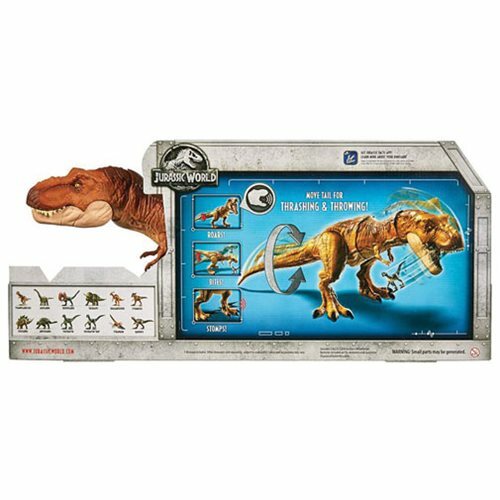 Tear into your other dinosaurs (sold separately) or anything that stands in this massive monster's way. 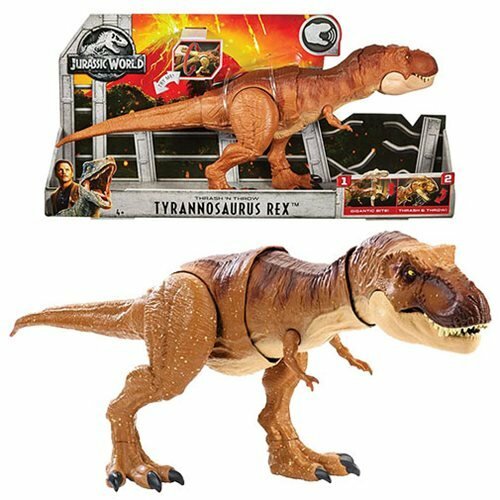 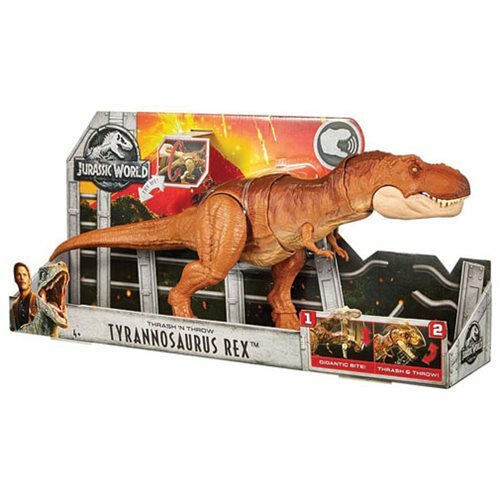 Featuring a larger size designed for Thrash and Throw head movement action, the T. rex boasts sound effects to really make the battle roar!